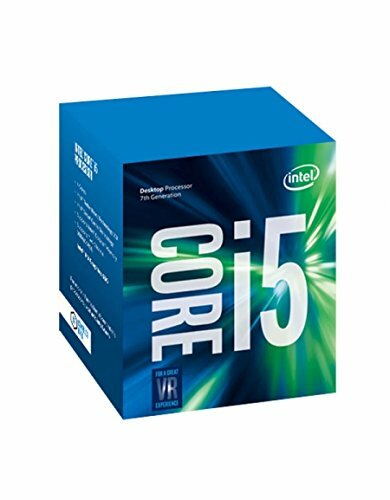 In this post we examine 5 of the best-selling i5 processors. Scroll down for video reviews and our top picks for the casual gamer, the over-clocker, the budget-buyer, the everyday-user and the performance savvy. What is a Core i5 Processor? Internally codenamed Sky Lake, Core i5 is Intel’s marketing term for a line of computer processors the company manufactures. While the core i5 is still in use today, it has since been surpassed but the i7 (Kaby Lake), which are faster and offers better graphics capabilities. Most PCs today contain either a i5 or i7 with the i5 typically running in ‘budget’ systems. Both the i5 and i7 use Intel’s Turbo Boost technology, which allows the processor to overclock itself when extra performance is required (Source). What CPU Should You Buy? Think of your computer processor like a conductor. The CPU receives information and instructions from various other components in your system and decides on where to send that information and how to act on it. Generally, the faster the CPU’s clock speed, the faster your system runs (Source). Buyers recommend carefully thinking about what you plan to do with your computer before purchasing an i5 or any other processor. While the i5 is capable of decent gaming performance, it’s going to struggle with high end games. The same goes for processor-intensive tasks such as compiling code or encoding high definition video. Also, be aware of heat. If the CPU you’re planning on buying doesn’t come with a cooler, you might want to look at adding one (Source). We took a look at 5 moderately priced Core i5 processors, all of which are capable performers for most of today’s computing tasks. • The Intel Core i5 7600 LGA features Intel’s Turbo Boost 2.0 technology for performance increase when pushed hard. It’s a 4 core processor for 4 threads. While not a gaming powerhouse, it will satisfy most casual gamers as long as you’re not hoping for graphics and frame rates turned up to 11. • The Intel BX80677157400 7th Gen also features Turbo Boost 2.0 technology. Comes with CPU cooler and heat sink, although additional cooling is recommended if you’re planning on pushing it hard. It’s a decent processor for most everyday tasks and light gaming. • The Intel Core i5 3.50 GHz Quad Core Skylake processor performs very well and gets high marks from buyers because of its support for display resolution up to 4096x2304. Although an older processor, it works well in a budget rig. Buyers also say this chip is easy to overclock to squeeze out a little more performance. • Intel’s Core i5 6500 3.20 GHz Quad Core Skylake doesn’t allow for overclocking, but still runs a little hot, however, the stock fan included with the CPU does a good job of keeping it cool. It’s Better than the i5 6400 and cheaper than the 6600 and is ideal when budget outweighs performance. • Last up is the Intel Core i5 7500 LGA 7th Gen. People who are crazy about performance will appreciate that this chip can be overclocked up to 3.8 GHz. Runs cool thanks to the included heat sink and fan. Some buyers say it struggles with higher resolution displays, though. The Intel Core i5-7500 LGA 1151 is a good option if you want to experience uncompromised gaming while you stream, chat and share with your community. Users love the performance of this i5 processor, but some do complain that it is not much different from the previous generation. This product is a3.8GHz i5 processor that features Intel HD Graphics 630 and Intel Turbo Boost 2.0 Technology. Other features include Intel 200/1001 Series Chipset Compatibility and Socket LGA 1151. This item might be a good choice if you want your computer to give you stunning visuals of 4K HDR premium content and transport you into a great VR experience. In general, buyers have a favorable opinion of The Intel Core i5-7500 BX80677I57500. They agree that it is speedy and that the price is worth the performance. Users appreciate that it responds really well and runs things smoothly. A satisfied online reviewer states that it has everything you need to install it, including a thermal paste. However, some complain that the performance is exactly the same as the previous generation features. Therefore, several buyers feel their money would have been better spent getting an i7. In addition, one user shares that the label says the processor is actually 3.4 GHz and not 3.8 as advertised. 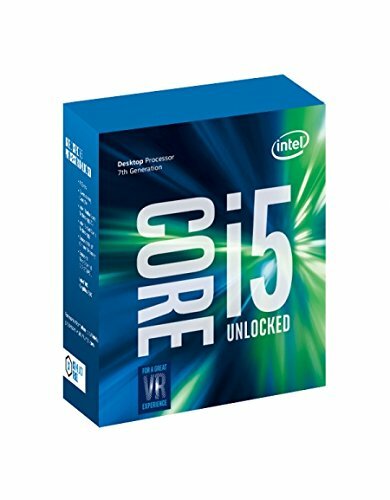 If you are looking for an i5 processor, you might want to consider the Intel Core i5 6500.Users like the power efficiency of this CPU, but some complain of no significant improvement from the previous generation. This product is a 3.2GHz i5 processor that features Intel Turbo Boost Technology and LGA 1151. It has DDR4 and DDR3L support and it is compatible with Intel 100 Series Chipset Motherboards. The manufacturer boasts that the processor automatically allocates processing power where it’s most needed. This item could be a good choice if you’re looking for improved productivity when multitasking on your computer. In general, users state that the Intel Core i5 6500BX80662I56500meets their expectations. They agree that this item is a really nice processor for a budget build, with great power efficiency. Most of the buyers state that they experienced no problem with multitasking and running games. They would recommend it to anyone looking to build a nice mid-range gaming PC. Although buyers agree that the item is quite fast, there are some who complain that the performance improvement over previous generation CPUs is not significant. One online reviewer shares that the provided fan doesn’t work. If you’re looking for a top-rated i5 processor, you might want to consider the Intel Core i5 6600K.Users love the overclocking feature, but some complain of reckless packaging. This product is a quad-core 3.5 GHz processor with socket H4 LGA-1151. It features DDR4 and DDR3L Support, Intel Turbo Boost Technology and it is compatible with Intel 100 Series Chipset Motherboards. It is claimed to provide 30 times better 3D graphics vs. a 5-year old PC. This item might be a good choice if you want a processor with intelligent performance that accelerates in response to demanding tasks, such as playing games or editing photos. The general user consensus concerning the Intel Core i5 6600KBX80662I56600Kis that it is quite stable and fast enough for the money. Many buyers appreciate its easy-to-overclock feature and very easy installation. However, some buyers warn that it doesn’t come with a stock cooler, which is not clearly stated in the advertisement. In addition, several buyers complain of reckless packaging. The Intel BX80677I57400 i5 processor could be a good option if you want to take your productivity, creativity and 3D gaming to the next level. Users like the performance of this CPU, but there are complaints regarding an incorrect description on the product page. This 3.5 GHz Intel Core i5 processor features LGA 1151Socket and Intel 200/1001 Series Chipset Compatibility. It also features Intel HD Graphics 630, Intel Turbo Boost 2.0 Technology and Intel Hyper-Threading Technology. The processor comes with a cooling device (heatsink and fan). This product might be a good choice if you are looking to enhance the performance of your PC when creating HD video, composing digital music, editing photos, or playing games. In general, users have a good opinion of the Intel i5 processor BX80677I57400 and they conclude that it is a solid choice for a mid-grade gaming computer. Many buyers appreciate that it works great and that it is easy to install. However, one buyer states that the processor is actually 3.0 GHz instead of 3.5GHz (as the product page says). The Intel Core i5-7600K LGA 1151 is a good option for someone who wants to boost their several-year-old PC’s performances and features. Users like the speed of this CPU, but some complain about receiving a package that was opened. This product is a 4.2 GHz Socket Intel Core i5 processor with LGA 1151 and Intel 200/1001 Series Chipset Compatibility. It features Intel HD Graphics 630, Intel Turbo Boost 2.0 Technology and DDR4-2133/2400, DDR3L-1333/1600 @ 1.35V. It does not support Hyper-Threading Technology. This item seems like a good choice if you are looking for a real-life productivity on your PC. The general user consensus concerning the Intel Core i5-7600K BX80677I57600K is that it is good for its level and capacity. They agree that it has amazing performance for 1080p gaming when paired with a decent video card. However, some buyers complain about the lack of a cooler. There are several complaints of receiving the box which was obviously opened since the seal was broken. Core i5 7600K Review: The Best Gaming CPU? What is a Computer Processor Exactly? You may have heard the word 'processor' often enough in your lifetime, but do you really know what it means? A processor, properly known as a microprocessor, is a tiny chip that is placed inside computer and all modern electronic gadgets. It can be considered as 'the brain' of the machine, whether it's a i5 laptop or a smartphone. At the most basic level, the microprocessor receives input in the form of 1s and 0s and then produces the needed output. This might seem simple enough, but keep in mind that current microprocessors can handle trillions of these kinds of calculations in a single second. The main part of any computer system is the central processor, which is also known as the Central Processing Unit, or CPU for short. The task of this processor is to deal with all the basic instructions sent by the computer system. For example, the processor handles commands coming from a keyboard or mouse and running various applications. The majority of desktop computers have a CPU that has been designed and developed either by AMD or Intel. Currently, both companies make computers that use the x86 processor architecture. Portable gadgets, such as laptops and tablets may also be using AMD and Intel CPUs. However, some of these gadgets might also use specific microprocessors made for smartphones, made by companies like Apple or ARM. What exactly is an i5 processor? The i5 processor has been designed, developed and manufactured by Intel. This processor is available with either a dual-core processor or a quad-core processor. This processor can be used in both laptop computers as well as desktop computers. The i5 processor is part of the Intel Core family of processors, also known as the 'i' series. You can get the Core i5 processor with varying levels of speeds, from 1.90 GHz to all the way to 3.80 GHz. They also feature 3 MB, 4 MB or 6 MB of cache space, which is a big improvement from past cache technologies. The i5 processor makes use of either the LGA 1150 or LGA 1155 socket on a motherboard. The most commonly used type of Random Access Memory (RAM) in conjunction with an i5 processor is DDR 1333 or DDR3 1600. However, a higher powered RAM performance can be utilized as well, as long as the motherboard can support it. 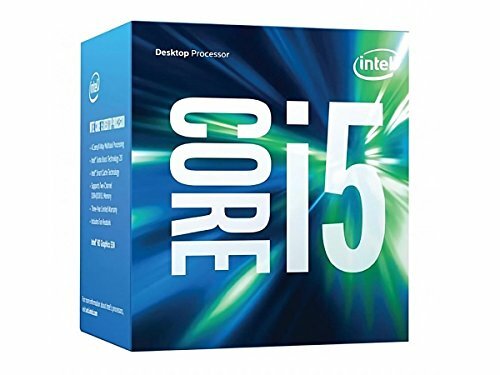 In a modern desktop computer, Core i5 processors are very common and are used for day to day usage and work well for higher performance needs as well. Some Intel laptops also include a Core i5 processor in order to give the user better performance for heavy duty usage. In laptops with slower speeds, the battery usage can be sparse and a single charge might last up to 5 hours. However, with the high-speed laptops, the battery uses up energy a lot more quickly and this might leave you with just 2 to 3 hours of usage with a fully charged battery. What are the differences between Core i3, Core i5 and Core i7? According to common sense, the Core i7 processor is obviously better than the Core i5 processor. In the same way, the Core i5 is better than the Core i3. However, the increasing numbers do not denote a similarly increasing number of cores. The i7, for example, does not have 7 cores, and the i3 does not have 3 cores. These numbers are just to tell the user about the relative processing powers of these three different processors. The current brand of Intel's Core series processors is commonly found in the majority of the desktops and laptops on the market these days. These Desktops are divided into three categories. These three categories are called Core i3 (or Core m3), Core i5 and Core i7. The point to take away here is that the differences in performance between these three types of processors is different for laptops and desktops. This difference will be explained near the end of this article. Intel Core chips for desktops follow a pattern that is more logical, so we will talk about them first. Most of the concepts that we will talk about are applicable to both laptops and desktops, such as the number of cores, Turbo Boost and Hyper-Threading. So even if you plan to buy a laptop instead of a desktop, read on to learn about the pros and cons of desktops. Intel has dominated the laptop market for a long time now because of the wide range of powerful processors that their laptops offer. Compared to the alternatives, the Intel processor laptops are superior in terms of performance and on top of that, they are economical and affordable as well. Out of all the laptops available nowadays, the Core i5 laptops are the best choice in terms of price and performance. It can let you do simple things and also let you run heavy duty processing applications. So in order to help you make the best Core i5 laptop purchase, I will provide a list of the top 10 greatest i5 processor laptops, which will include the best Intel Core i5 notebooks and laptops as well as gaming laptops. In recent times, computing technology has made tremendous leaps and bounds. The first computers that were originally manufactured were the size of a building or a huge room. Now, over time, the size of the computing processors has been shrinking every year. This is also known as the 'Moore's Law', which talks about the doubling of processing power regularly over time as well as the increasing rate of shrinkage of computer processors. This means that by now, in the year 2017, laptops are able to contain tiny microprocessors while being very powerful computers at the same time. This increase in the power of laptops in recent years is because of the advances in the Intel Core series. Therefore, whenever you are planning to buy a new laptop, learning about its processor is the most important thing to consider first. If you want to play modern computer games on your laptop at a medium level of graphical detail, then it is recommended that you get a dedicated graphics card for your desktop. However, apart from the graphics card, the choice of the processor will also make a great difference to the performance of games. It would be a shame if your excellent graphical processing unit were to be slowed down and made useless just because your processor is too slow to keep up with the graphics card. However, you don't need to go to the opposite extreme and buy an expensive and fast processor. A good point to learn is that you won't notice much of a difference in gaming whether you use a Core i7 or a Core i5 processor, as the hyperthreading improvements of the i7 don't make much difference for computer games. Even graphically demanding games like Battlefield 4 only really utilize 4 cores, so the extra 4 virtual cores of the i7 with hyperthreading features won't be of any use for gaming purposes. However, there are some exceptions to this. For example, the latest game in the Total War franchise seems to make great use of a Core i7 processor because of the large number of individual entities interacting with each other on the field of battle. 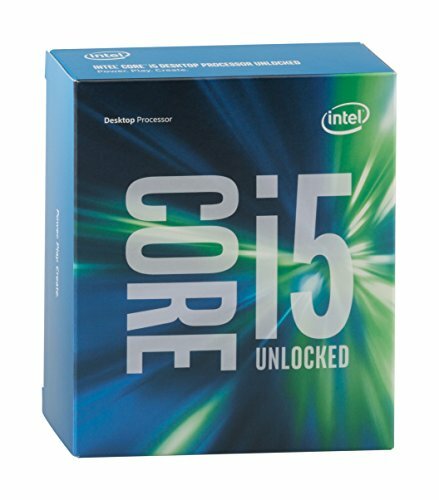 So if you want to buy a desktop computer to play computer games, the best option right now is to get a quad-core Core i5 processor, preferably the Core i5-7600K. If you ever feel like the processor is running too slow for your needs, you can overclock it well above 4 GHz. The Core i chip series by Intel is a popular and well-established brand that is part of the majority of laptops in the market these days. However, you might get confused when trying to buy a new laptop because of all the various technical terms and numbers which you probably don't have a clue about. Let us help you understand these technical terms and what they mean. Over 80% of new Personal Computers and about 90% of laptops contain Intel processors. What this means is that if you're looking for a new laptop to buy, getting an Intel laptop would be the best choice as performance and quality will be ensured already because of the brand. Choosing the right processing chip for your needs can be hard work. 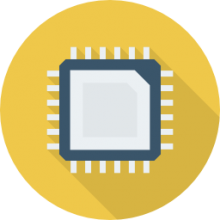 The ecosystem of Intel processors is full of confusing model numbers that are very technical sounding and give details about various aspects of the processor. This is why you should do proper research before buying a new laptop or desktop. Despite Intel's good brand image, it's still not very easy to choose among the three different Cores on offer. It can be hard to differentiate between the Core i3, Core i5, and Core i7, and your budget for a new computer will also determine your decision in the end.